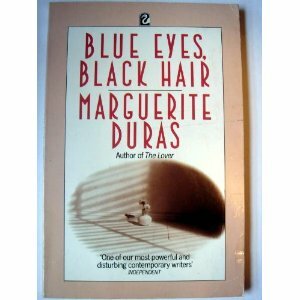 Home » Book Reviews » Blue Eyes Black Hair – Marguerite Duras and the love of loss. 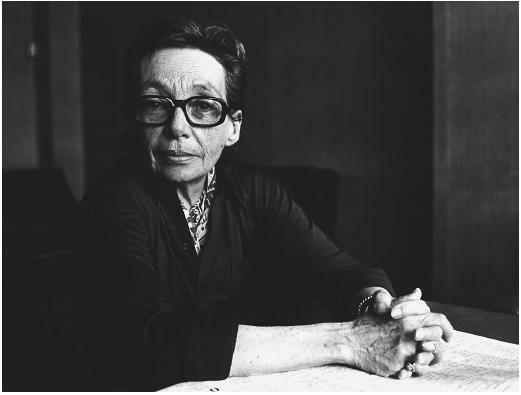 Blue Eyes Black Hair – Marguerite Duras and the love of loss. Among those watching the scene in the lounge from the road behind the hotel is a man. He makes up his mind, crosses the road and goes towards an open window. Just after he has crossed the road, no more than a few seconds, she, the woman in the story, enters the lounge. She has come in through the door opening onto the grounds. When the man reaches the window, she’s already there, a few yards away among the other women. From where he’s standing the man couldn’t see her face even if he tried. She is looking at the door that leads to the beach. She’s young. She’s wearing white tennis shoes. You can see her long lithe body, the whiteness of her skin this sunny summer, her black hair. You could only see her face in the shadow, even from a window opening onto the sea. She’s in white shorts, with a black silk scarf tied carelessly around her waist. A dark blue hair band must hint at the colour of her eyes. But her eyes are out of sight. But why is this so terrifying? 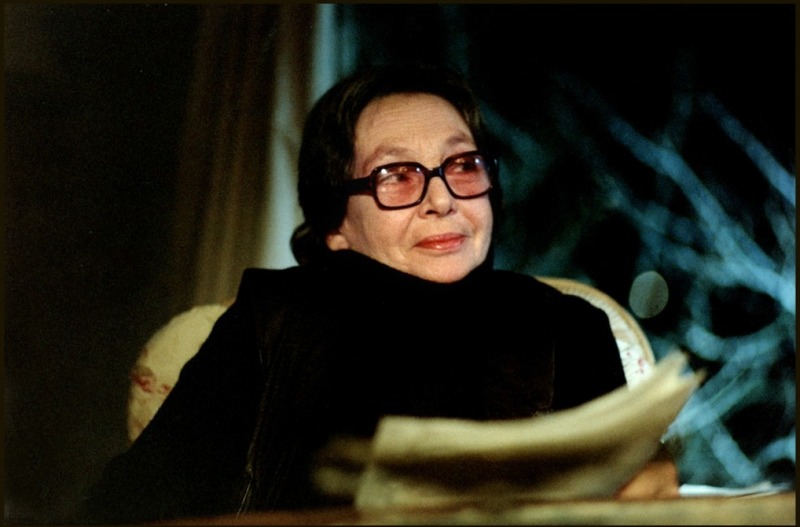 If you are not familiar with the story, it is a ‘typical’ Marguerite Duras novel – if such a thing exists – in that it is sparse, gently and oddly written and completely abstract. It is the story of a woman who has a brief affair with a young man who disappears form he life the next day. What she doesn’t know, is watching her affair was another man. A man who fell instantly in love with the now missing man. This second man, the man who watches, mysteriously asks her to share a hotel room with him. She mysteriously agrees to a peculiar arrangement. Soon, however, it becomes clear that where passion can’t be expressed, it still lives. Passion lurks behind the death drive and for this couple who do not touch, and can’t properly love, the only place to dwell is precariously on the jaggard edge of desire. Desire, for Duras is death. She is intimately connected with the nothingness that desire inevitably brings. She writes in the almost space on the very edge of silence, a combination of poetic beauty and jingoistic banalities laced together in scarce almost-not-sentences. At this edge of her silence the word nothing emerges, a prudish defence in the face of such incommensurable, internal and external disorder. Duras dances on this edge, playing with our need for retreat, teasing us in our inability to comprehend. Film has become one of the most important – the most important if you include television in its web – art form of our day. The combination of imagery, language and music while bombarding our senses and rendering the most inwardly focused of us distracted, literature leaves nothing between us and the vast emptiness within. Of all the artistic appreciation, literature is the most solitary. Where one steps out of one self and into the universal for film, literature forces us to turn inward, withdrawing into the furrow of the crises in thought. In some cases this adventure will offer us the relief of an analysis of form, but Duras won’t give you any simple respites like that. Duras’ is not a self-analysis that looks for its sources in the ‘music in letters’ or the undoing of narrative logic. If there is an exploration of form here it is subordinated to the confrontation with the silence of horror within the self and in the world. Because the gaps within us are large and more expansive than they have ever been (why do you think we are so busy these days?) our language has offered itself as a kind of antidote to this, becoming lighter and less meaningful. Internet ‘banter’ contributes greatly to this as well, but the desire to be ‘seen’ as one who transcends the inner anxieties of our own lives has leant itself to a superficial gaiety of language that borders on the childish. Marguerite Duras does confront this. She takes common rhetoric and subverts it, distorting it so that the horror of its masking of silence can be seen for what it is. Se twists grammar, she injects the banal line into her completely sublime poetics. He thinks he can see in her smile the tug of tears, of absence, and in her eyes and new hypocrisy, the kind that comes a couple of weeks after the beginning of something. It frightens him. She stops and looks at him, then says that in the very first hours of their meeting she knew she had started to love him, just as one knows one has started to die. he asks her if she’s used to death. She says she thinks she is, it’s the thing you get used to easiest. 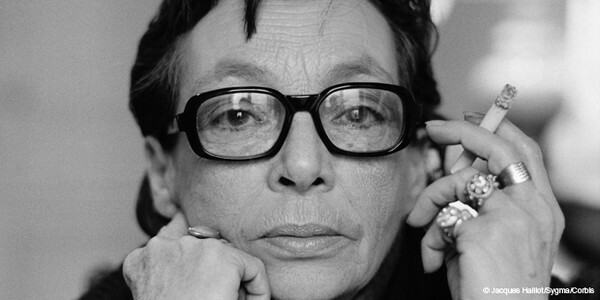 Marguerite Duras is not a spoken discourse but speech that is overdone because it is underdone, though some sort of bizarre illness style of captivating pleasure. Because of this, her distorted speech can sound odd – even defiant at times, daring the reader to ‘put up with it’. An easy beauty, a quiet distraction lulls you into the failures of these characters and above all, the failures of the narrator herself and ultimately the readers. We are drawn to this nothing inside us, the unsignifycable of a malady we all carry inside of us from birth – a pain that has nothing but its tension. Nothing becomes unbearable and her silences are suggestive. This is not a book to be given to fragile folk to read. If you are prone to bouts of hysterical misery, you’d be better to see her plays or her films or plays and films in general. Even the deep sadness caused by a film is always superficial and can be removed at te most, a couple of hours after the viewing. But a book such as this can bring you close to madness. On the contrary, Duras’ texts tame the malady of death to become one with it, part of it every step of the way, no distance, no escape. There is no purification at the end of her novels laden with disease, no heightened sense of wellbeing, no promise of a beyond, not even the enchanting beauty of style or irony that would provide a bonus of pleasure beyond the ill revealed. I will read this… whether I can take it or not! Great review. Ha ha ha ha ha – I think you might be up to it! Its my favourite Duras – I ADORE this novel.